I work within the tourism industry and write about the city I love. Visited the new Story Hotel, and that was a pleasant surprize. 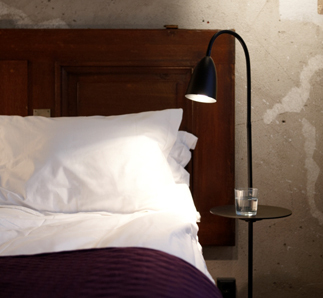 Central location, nice rooms and affordable prices is the concept behind the new Story Hotel, situated on Riddargatan 6 in Stockholms fashionable are Östermalm. To keep the prices low they only have an online booking and check in service. You pay with your credit card and get a five digit code to use upon arrival at the hotel. Comfortable beds, nice rooms and breakfast is included in the price. The hotel also offer a restaurant and a bar. A unique interactive Viking centre is planned to be built in conjunction with the The Museum of National Antiquities in Stockholm. The working name is Stockholm Viking Center of 7 000 square meters. According to the museum, it will be an interactive and a digital museum in many ways. Shoot with a bow and arrow and do other activities in viking style for instance. 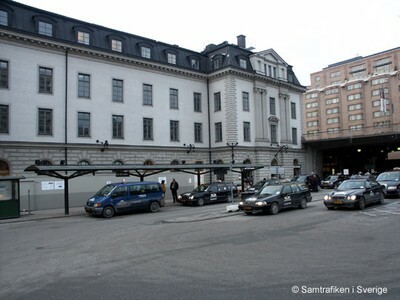 The centralstation in Stockholm will offer a new service, named Taxi Welcome Service, from April 1 2009. The new service is a way to give a better quality service and and give the customer several options. This can be ecofuel car, seat for children or an extra large taxi. The service costs 16 SEK and will be included in the taxifare. The contemporary art scene in Stockholm have developed during the past few years. Leading art halls in Stockholm will now promote the city as a Contemporary Art metropolis during a week in september. Stockholm has several international renowned art galleries as well as prestigious art halls. Andréhn-Schiptjenko, Bonniers Konsthall, Iaspis, Index, Magasin 3, Milliken Gallery, Moderna Museet, Galerie Nordenhake andTensta Konsthall. When the cargo trade chose their favorite airport - they chose Stockholm Arlanda Airport. The Air Cargo Worlds yearly ranking list puts Arlanda Airport in the first place. "Stockholm's Arlanda airport made a significant jump from 105 to 116.9 overall to top the Index in the below 500,000 tonnes category". Air Cargo Excellence Survey is done by Air Cargo World. Stockholm-Arlanda has the best newly opened airport shop in the world, according to an international jury. Stockholm-Arlanda won in keen competition with London Heathrow and the airport in Macau. The Nuance Group, which operates several duty- and tax-free shops at Stockholm-Arlanda, accepted the honour in London at the DFNI Global Awards, which is comparable to the Oscar gala of the travel retail trade. 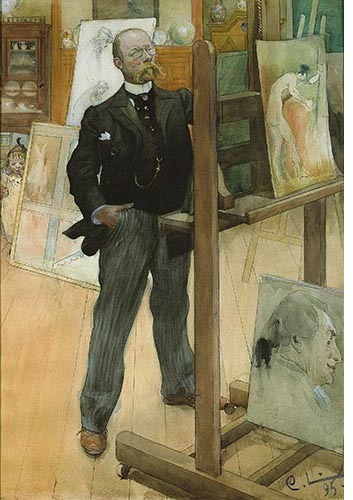 Carl Larsson is one of Sweden's most well-known artists and a cherished national symbol. An exhibition at Waldemarsudde, comprises about 100 works including a wide selection of paintings, water colors and drawings from Larsson's time in Grez France as well as from his home in Sundborn.